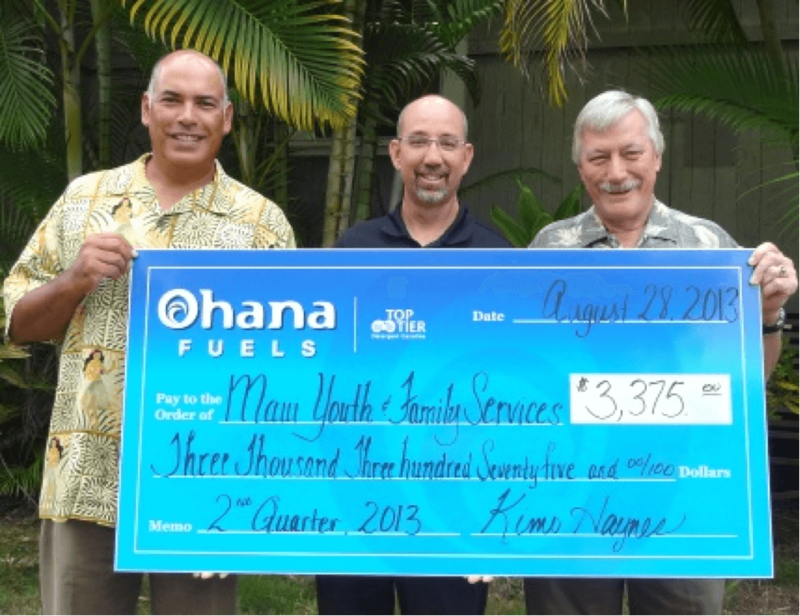 On August 28, 2013 Maui Youth & Family Services (MYFS) received a donation from Maui Petroleum as part of the company’s “Fuel Up. 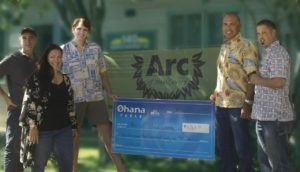 Do Good” program, in which a portion of the proceeds from sales of its Ohana Fuels gasoline brand are given to a community organization. 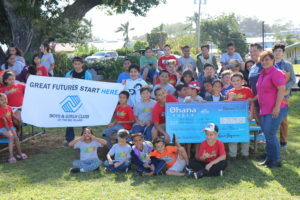 Maui Petroleum chose MYFS as its 2nd quarter 2013 beneficiary organization and awarded over $3,000 to the nonprofit, which provides a range of programs and services that empower youth and families challenged with behavioral health issues to become responsible, self-fulfilled and contributing members of the community. “We cannot thank Maui Petroleum and the Ohana Fuels brand enough for their generosity,” said Jud Cunningham, MYFS Chief Executive Officer. 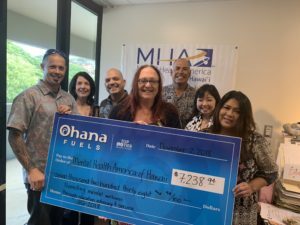 “This donation will have a great impact on individuals and families in Maui County desperately in need of help.” The donation comes from Ohana Fuels purchases at the Minit Stop gas stations in Kahului, Makawao and Pukalani during April, May and June of this year. “Ohana Fuels is deeply committed to supporting social service organizations throughout Maui. Our goal is to assist organizations like Maui Youth & Family Services, who work to better their community and to help people enrich their lives by providing for those in need,” said Steve Wetter, Maui Petroleum General Manager.